REGISTRATION – Falcons are registered and given a specific record number so we can keep a history. 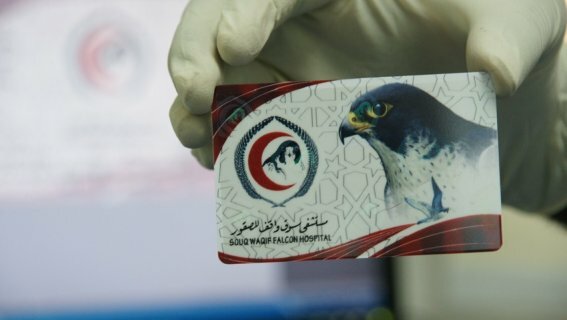 ID CARD – ID cards are available to be used to identify the falcon. The hospital ID card is needed to apply for a falcon passport. FALCON LEG RING – Owners can have their name and telephone number engraved on a ring and attached to the leg of the falcon. Different sizes and colours are available. MICRO-CHIPPING – We advise all falconers that visit the hospital to micro-chip their falcon. This will help to identify the falcon in future.